Today I reinstalled Windows 10 on my computer using Fresh Start feature, which gives Windows a fresh lease of life and removes all the installed programs and reinstalls windows automatically. I had to do this because windows would sometime hang during boot. Add to that, I hadn’t even done a clean install of Windows 10 when I had upgraded from Windows 7! So a clean reinstall was long overdue and I decided to take the easy route, by utilizing Window’s Fresh Start, instead of doing it manually. 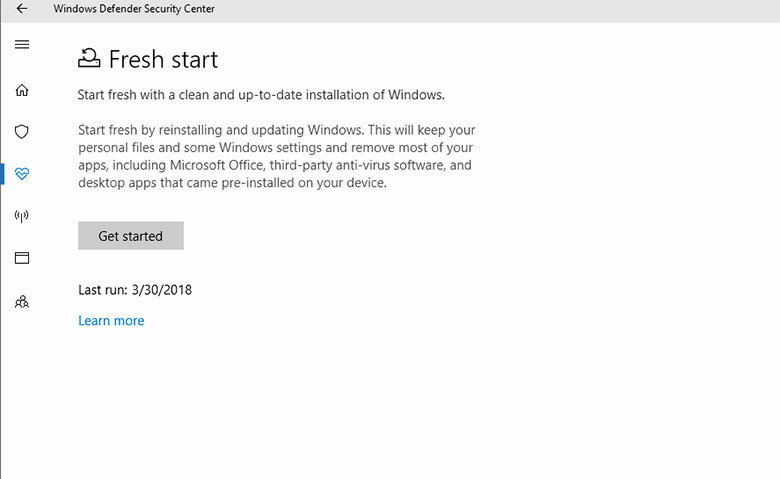 After making sure I still had the MS Office Key and that it was downloadable from Microsoft website (rest of the software was already downloaded), I went ahead and clicked on the Get Started button, followed by the Next button to start the process (no removable drives or Windows DVD required). 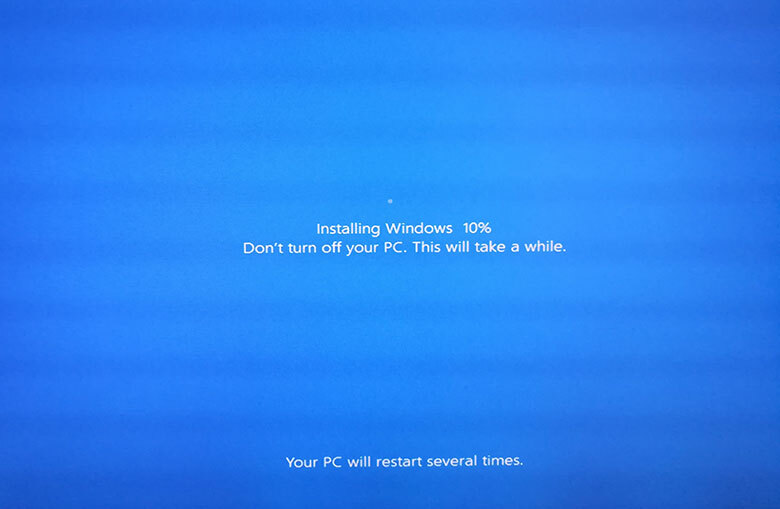 Windows managed rest of the process and although it did take more than 20 minutes it had estimated at the beginning and the windows rebooted 3 times during the reinstall. Annoyingly, it decided to install updates after it was done reinstalling itself. So I had to wait a little longer. Of course, when everything was updated and I was finally on the desktop, I had to reinstall software that had been uninstalled. 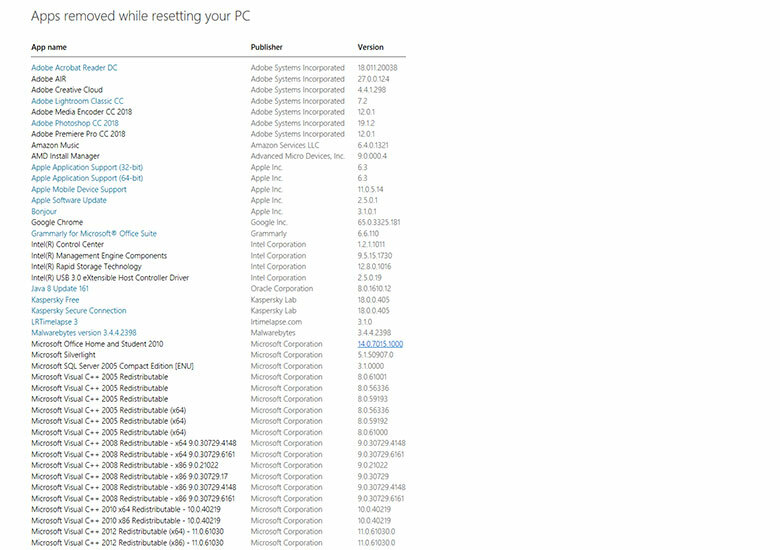 However, Windows had conveniently kept an HTML list of the software it had removed from my computer during Fresh Start and it really made my life easier. I did not reinstall all the software in the above list. And even though I used to uninstall apps I didn’t use for a while, the Fresh Start ended up freeing over 30 GB of space on my 120 GB SSD. 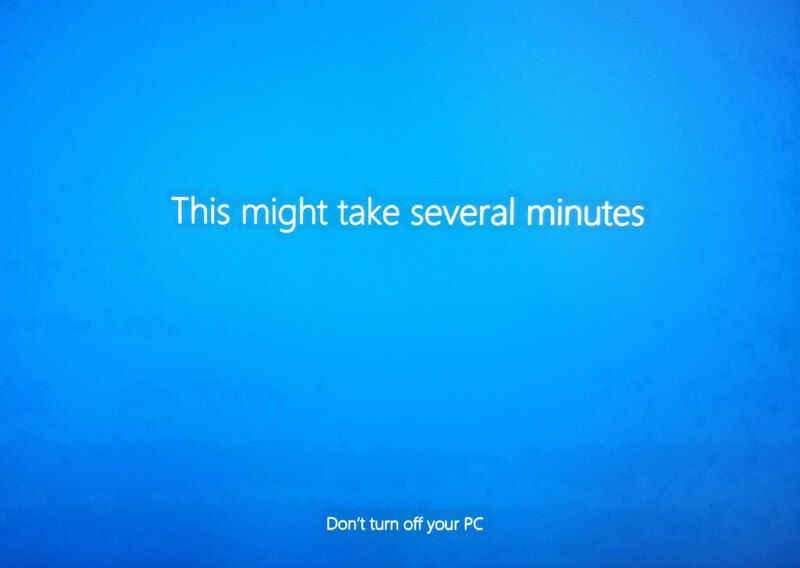 So far, Windows has been running normally and hopefully, it will stay that way. It is good to see Microsoft developing handy features such as these and of course, offering regular updates for us Windows 10 users, including the free upgrade from 7 to 10. Hope they keep up the good work. 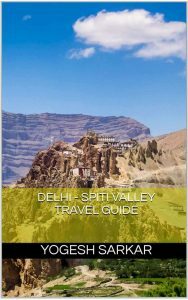 Google fined for providing free maps!